The donation brings the college's total number of prints by the Dutch master to 12. The Colby College Museum of Art has acquired three etchings by Rembrandt, bringing its holdings of prints by the Dutch master to 12. The newly acquired prints come to the museum as a gift from longtime benefactors Paula and Peter Lunder. Colby President David Greene announced the acquisition at an event in Portland on Friday hosted by the Portland Press Herald. Rembrandt made the etchings in the mid-1600s, and all are relatively small. The largest, “A Scholar in His Study (Faust),” is about 9 inches by 7 inches. The others are the size of postcards. The prints are not yet on view. One arrived in January, another was delivered this week and the third is due to arrive at the Waterville museum soon. The museum could not provide images of the artwork. Rembrandt was skilled at painting, drawing and printmaking. While his paintings are worth millions of dollars, his prints hold far less value. Colby College would not discuss the value of the newly acquired prints, but Rembrandt prints generally sell for between a few thousands dollars apiece to $100,000 or more at auction. Art scholars believe he made about 300 etchings. He died in 1669 at age 63. The smaller prints donated by the Lunders are “Christ Returning from the Temple with His Parents,” made in 1654, and “Woman Bathing Her Feet at a Brook,” from 1658. During Rembrandt’s time, a small etching was similar to a photograph today and was considered a key form of cross-cultural communication. During his life, he was better known for his prints than his paintings. He often depicted landscapes, biblical scenes and portraits. The newly acquired Rembrandt prints add to a growing print collection at Colby, which already includes nine Rembrandt prints donated by the Lunders, as well as works by Picasso, Dürer, Goya and James McNeil Whistler, who was influenced by Rembrandt. The Lunders have given Colby numerous gifts of cash and art. Both serve on the museum’s board of governors and are former Waterville residents. Peter Lunder is a 1956 Colby graduate, former president of Dexter Shoe Co. and a nephew of its founder, Harold Alfond. In 1995, the Lunders pledged the lead gift to the museum’s Lunder Wing. In 2007, the couple donated hundreds of works of art valued at more than $100 million. 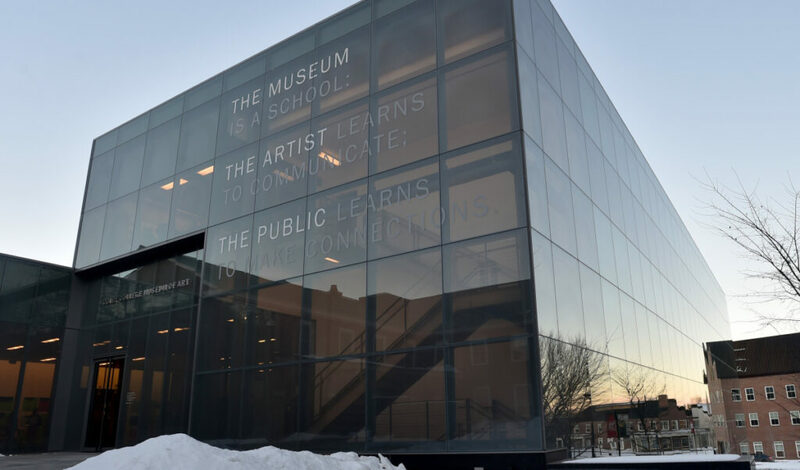 Six years later, the Alfond-Lunder Family Pavilion opened to display the works. In 2016, the Lunders donated a set of 100 of Pablo Picasso’s etchings from the 1930s, and in 2017 they gave the museum another gift of $100 million.